Following a fire which destroyed the original West Stand in September 1956, a public appeal raised £60,000 towards a new one which was opened in August 1957 at a cost of £180,000. The roof of the West Stand has a television commentary gantry and walkway for TV personnel who may be asked to film here on a matchday. The radio and press also have facilities in this stand so they can commentate direct to the public and make notes for their respective papers. This stand houses the Directors Box, where both home and away Team Directors may sit to enjoy the match, plus the Club Doctor.The manager also sits in this stand during the first half of a match and has had a telephone installed in the home team dug out. Was known commonly as the Scratching Shed until improvements in 1974 saw an impressive £500,000 new South Stand built with 16 Executive Boxes linked to an Executive Restaurant. This was again improved in 1988/89 when an additional 16 boxes were built. During 1974 plans to link the South Stand with Lowfields Road were shelved, this was finally achieved and opened in September 1991 and called the SOUTH EAST CORNER. South East Corner: is used for the visiting fans, when a large crowd is expected the whole of the South Stand is then allocated. The Family Stand was located in this area and it proved so popular that members outnumbered seats. This was moved into the new impressive East Stand when finally completed. This was built in 1992/93 and replaced the existing Lowfields Road Stand. 25 extra Executive Boxes were incorporated during the building of this stand. This is the biggest cantilever stand in the world. The bottom tier hold the YEP Family Stand members which runs to a staggering 10,000 fans. The Family Stand was moved from the South Stand in season 1993/94 when the work was completed. The East Stand holds a shopping mall and with its shops and cafe is purpose built for the families. Leeds United are proud that we are winning more families back to Elland Road. formally referred to as the KOP (Spion Kop); This was roofed in 1968 and during the early 80's an electronic scoreboard was installed under the roof. There was a red flashing light located in the roof which if operated required the Referee to stop the game. A similar light was also located in the roof of the South Stand. The name Kop came from the South African name Spion Kop; it was brought from South Africa by the East Lancs regiment, this regiment being mainly made up of men from Liverpool. When they were fighting in South Africa (Boar War) and they were defending a hill called the Spion Kop, when they returned home and went to see Liverpool play, at the rear of one of the goals there was a hillock which reminded them of the hill in south Africa, so they named it the Spion Kop. As Liverpool had the original Spion Kop other grounds took on this idea and today most grounds have at one end of their ground a Kop. During the close season of 1994, 7,000 seats were installed to replace what had previously been known as the Kop (as per the above information), making Elland Road an all-seat stadium as directed by the Justice Taylor Report. This was officially opened in October by the President of the club, Lord Harewood and Mrs E Revie the late Don Revie's widow. The interior area has been completely refurbished providing carpeted lounge area and new fast-food refreshment bars. This area was opened in April 1992 and is ideally located in the heart of Yorkshire. It has proved to be one of the most popular and sophisticated venues in Leeds for entertaining clients and their guests. This houses some of the trophies from both past and present seasons. This is also the room where all the Directors of the club meet and where major decisions concerning the club are made. These house the majority of the trophies that the teams have won on their travels around the world; including a replica miniature of the F.A. Cup and World Cup. In 1966 after England won the World Cup all professional clubs received a miniature World Cup to keep. Also every team who wins the F.A. cup receives a miniature to keep. Outside the Members Bar is a cabinet where Don Revie donated a lot of his trophies to the club, including one of his England Caps. In those days players received a Cap every time they played for their country. Today players receive a Cap for every three times they represent their country. The pitch measures 108 metres by 70 metres (117 yards by 76 yards). There are 59 miles of piping in the undersoil heating system, only a blizzard/fog/flood or very extraordinary circumstances would force the club to cancel a match. 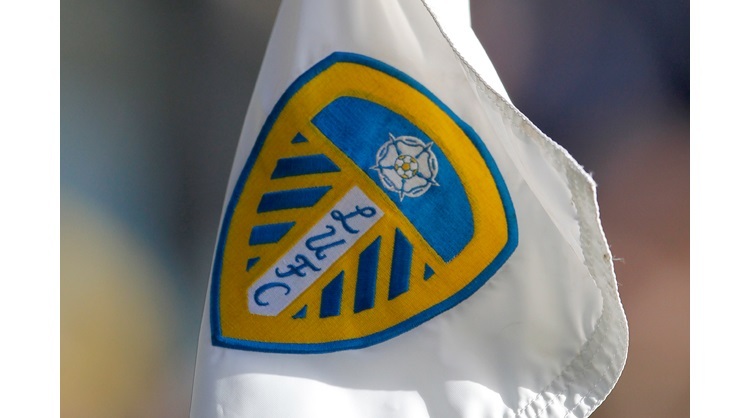 There is a natural well under the ground approximately 70ft down, this means that should the need arise Leeds can draw on their own supply of water, saying that though, the first time they used it the pitch turned black as the water was too cold. Leeds now have a pumping system under the South Stand. There is a Ground Control Box situated at the ground, the most advanced in Europe, with security cameras all around the ground, videos and pictures are taken of everyone entering the ground. Kick down advertising boards are all around the pitch for safety and there are gates at the front of the Revie Stand. The Stadium has been host to live rock concerts with music fans flocking to Elland Road to see the band Queen in 1982 and U2 five years later. Elland Road was chosen as one of the eight venues for Euro '96 and hosted the matches very successfully. During the close season of 1994 the names of all Leeds United players who have represented their country were listed on an International Honours Board in the club reception area and this is updated regularly.